With a tagline “Come on, I’ll race ya for it” on May 11, Tencent Games introduced the newest hero to their globally praised MOBA Arena of Valor – DC’s The Flash. Honestly, it was only a matter of time before the Speedster came into the fold, being that CW’s show brought the character back to life in 2014 and the series is still going strong. 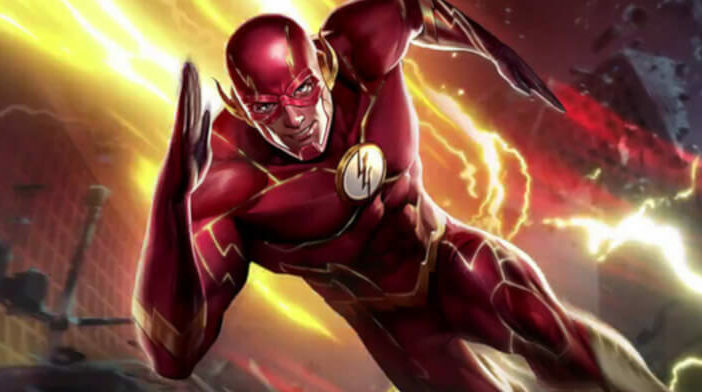 AoV’s background story for the Flash revolves around the hero’s uncanny ability to mess with the Speed Force and influence the time-space continuum. This time, he traveled through several alternate realities until he finally came to Athanor. Character design is based on The New 52 series and he looks fantastic and mighty, just like a hero should. Visit our Arena of Valor guide for AoV Hero The Flash. When it comes to comics, The Flash has changed considerably over the years and since 1940 when he first appeared. He had the power of super speed in anything from running to thinking. Because of this, he had the ability to break the laws of physics which DC would use on several occasions over the years to create alternate storylines. The hero was created during the Golden Age by Gardner Fox as the writer and Harry Lampert as the artist for All-American Publications, which became DC Comics after a merger with two other publishers. The edition of Flash Comics #1 features Jay Garrick who became super fast after inhaling hard water vapors. Garrick was also a founding member of the Justice Society of America and remained as the Flash until 1951 and All-Star Comics #57. After World War II, public interest in superhero comics declined and other genres took over the market, such as horror, crime, and romance. This created the famous controversy about comics being responsible for juvenile delinquency. Thus the Comics Magazine Association of America formed The Comics Code Authority (CCA), commonly known as the Comics Code. It was used to censor all materials deemed inappropriate by the CCA members and this lasted until the 21st century. This provided the perfect opportunity for publishers to start over with superhero comic books. In the case of The Flash, DC Comics decided to introduce a new version of him in Showcase #4 in 1956, created by writers Robert Kanigher and John Broome and cartoonist Carmine Infantino. The new Flash was Barry Allen, who is also the most familiar to modern fans because of the 2014 TV show and Justice League movie. Barry worked as a scientist with the Central City Police Department and became a speedster when he was struck by lightning while covered in chemicals. He called himself The Scarlet Speedster inspired by The Flash comic books from the Golden Age. He ran as part of the Showcase edition for a while, until he crossed over to his own series The Flash. Thanks to The Flash’s popularity, other heroes were revived and they all formed the Justice League of America. The plot also involved the introduction of a parallel universe so Jay Garrick and Barry Allen often met and finally became friends. This happened for the first time in the Flash of Two Worlds, but later on, happened between the whole Justice League and the Justice Society and lasted until the 1980s. Since in the 1980s, the plot became too confusing and sales decreased, DC Comics decided to end Barry Allen’s Flash. He died a heroic death in the Crisis on Infinite Earths #8, but because of his time travel ability, he continued to appear here and there over the following years. Allen’s nephew-in-law Wally West picked up the Flash mantle and became known as the Kid Flash. The writers weren’t too imaginative this time, and West gained speedster abilities in a similar way as Allen did. However, he didn’t become The Flash until after Allen’s death and the Crisis on Infinite Earths #12. In 1986, Wally West appeared in his own title The Flash (vol. 2) #1 which lasted until 2006 with 230 issues. After that, DC Comics decided to restart the series once again with the issue The Flash: The Fastest Man Alive in 2006. Writers Danny Bilson and Paul De Meo together with artist Ken Lashley decided to introduce Bart Allen as The Flash. He traveled back in time from the 30th century and is a descendant of the Allen family. He was first introduced as Impulse, and then became the second Kid Flash and ultimately the fourth version of The Flash. Nevertheless, this issue was canceled after #13 and instead, DC Comics decided to reboot The Flash Volume 2 continuing with #231. It started off with writer Mark Waid writing All-Flash #1, which connected issues 230 and 231. Barry Allen made a comeback in 2009 with a six-issue series The Flash: Rebirth by writer Geoff Johns and artist Ethan Van Sciver at the helm. In 2011, DC Comics canceled all other titles, and after the crossover storyline in Flashpoint, decided to have a do-over with its heroes. That was the start of the New 52 series, which also included Action Comics and Detective Comics from the 1930s. The changes included a new publishing policy to release printed and digital editions at the same time. The characters were changed in order to appeal more to a new audience by modernizing their storylines and the fictional universe. The Flash appears in The Flash: Move Forward with Francis Manapul and Brian Buccellato as the creative team. Barry Allen continues to be The Flash with some slight changes to his personal life. He is also part of the Justice League series and was given a new suit after Convergence in 2015. Although DC Comics are often perceived as dark and serious, The Flash remains one of the most charming superheroes. He is witty, somewhat naïve and has enough charisma to lighten the mood in the Justice League. This was something made very clear in the other media where The Flash appeared, like the 2014 TV show. The fans of the show were so angry that Grant Gustin wasn’t chosen to continue his role in the Justice League movie that they voiced their disappointment pretty loudly. So much so, that DC Comics had to come out with a statement after being grilled too much about choosing Ezra Miller instead. Nonetheless, Miller’s The Flash in the movies is one of the positive elements of the overall story. Hopefully, he will continue to be as delightful in the upcoming movie(s) Flashpoint, which the fans believe will end up being a trilogy, due to the complicated narrative of the comic book by the same name. Whatever DC decides in the end and no matter how many times they revive the character, The Flash will always stand for what is right and honest in life. His innocence is kept throughout the comic books, as well as the TV show and movie, but he is far from the weakest hero because of it. If anything, he is the heart of the Justice League and a potential savior of the DC Cinematic Universe.